Every NIR spectrum includes hundreds of data points corresponding to both physical and chemical information related to an object. NIR spectroscopy coupled with suitable discrimination analysis provides an opportunity to discriminate different health status of plants done in real time and non-destructively. Moreover, it allows a biological specimen to remain alive for continuous in vivo monitoring during biotic stress such as a viral infection or abiotic stress such as cold and drought stress. The aquaphotomics provided methodology to follow up the impact of a virus infection based on tracking the changes in water absorbance spectral patterns (WASPs) along the progression of disease. In a study by Jinendra et al. (Jinendra et al. 2010) aquaphotomics was proven to be successful in providing a simple rapid and non-destructive method for detection of soybean mosaic viral infection. Compared to the currently used methods such as enzyme linked immunosorbent assay (ELISA), polymerase chain reaction (PCR), and Western blotting, aquaphotomics was unsurpassable in the terms of cost-effectiveness, speed, and accuracy. The diagnosis of soybean plants infected with soybean mosaic virus was done at the latent, symptomless stage of the disease and it showed that absorbance area of the water solvation shell and weakly hydrogen bonded water are of crucial importance for the disease diagnostics. Similarly, different water spectral patterns were found in leaves of genetically modified soybean leaves with different cold stress abilities (Jinendra 2011). 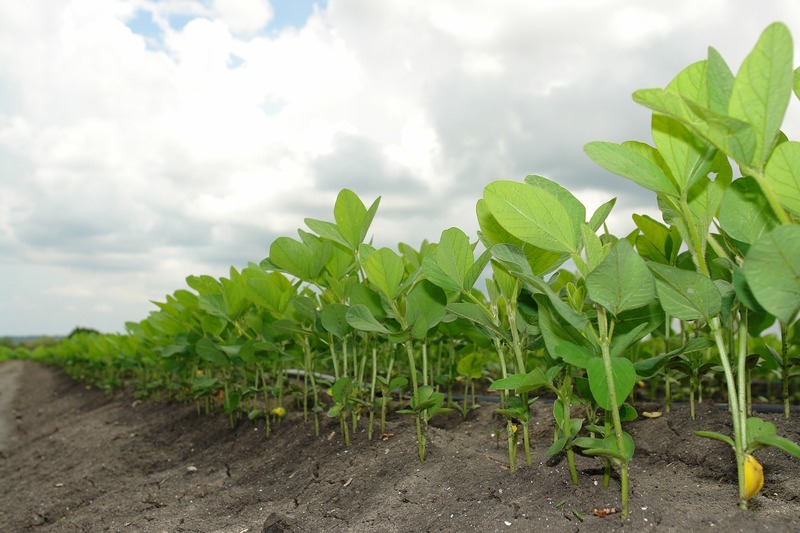 This research revealed that different levels of cold tolerance in soybean are closely related to the ability of the cultivars to keep the water in leaves in less hydrogen-bonded state. Another study on abiotic stress explored the extreme desiccation tolerance phenomenon (Kuroki et al. 2019). A small group of plants, called resurrection plants, possess the ability to survive months and even years without water and yet, they quickly and fully recover upon re-watering. Application of aquaphotomics to study one such plant – Haberlea rhodopensis, during dehydration and rehydration, revealed that in comparison to its biological relative, a non-resurrection plant species, H. rhodopensis performs fine restructuring of water in its leaves, preparing itself for the dry period by accumulating water molecular dimers and water molecules with 4 bonds, while drastically diminishing free water molecules. This regulation is thought to be the underlying mechanism that allows preservation of tissues against the dehydration-induced damages and a survival in the dry state (Kuroki et al. 2019). Jinendra, B. 2011. “Near infrared spectroscopy and aquaphotomics : novel tool for biotic and abiotic stress diagnosis of soybean.”PhD, Kobe University. Jinendra, B., Tamaki K., Kuroki S., Vassileva M., Yoshida S. and Tsenkova R., 2010. “Near infrared spectroscopy and aquaphotomics: Novel approach for rapid in vivo diagnosis of virus infected soybean.” Biochemical and biophysical research communications 397 (4):685-690. Kuroki, S., Tsenkova, R., Moyankova, D., Muncan, J., Morita, H., Atanassova, S. and Djilianov, D., 2019. “Water molecular structure underpins extreme desiccation tolerance of the resurrection plant Haberlea rhodopensis“. Scientific reports, 9(1), p.3049.